Aruba, a Dutch island off the north coast of Venezuela, is one of the most iconic destinations in the Caribbean. Famous for its white sand beaches, turquoise waters, and inviting warm, dry, climate, Aruba has enjoyed a fast-growing tourism industry marked by a dramatic improvement in roads, parks, and pedestrian spaces. As a result, running in Aruba is some of the best in the Caribbean. 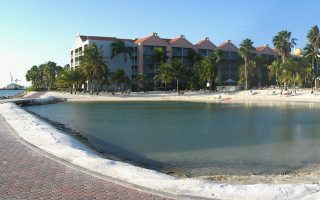 The top locations for running in Aruba are the multi-use pathways in Palm Beach and the Linear Park along coastal Oranjestad. Runners should also consider a trip to beautiful Arikok National Park, which encompasses approximately 20% of the island. Here, there are pavement, dirt road, and trail running options. Due to Aruba’s exquisitely soft sand, beach running can be a challenge, but it’s common nonetheless. 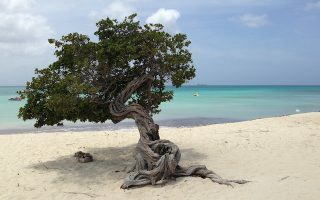 See our guide to Best Aruba Beaches for Running for the longest stretches of shoreline with the firmest sand. No matter where you run in Aruba, pay attention to the hot dry climate and be sure to apply sunblock and hydrate accordingly. Most runners prefer to set out in the early morning to avoid the high sun. 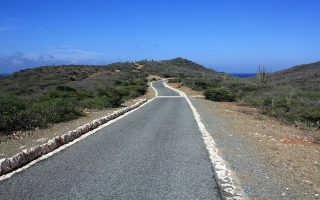 Note that there are not that many roads on Aruba that are good for running. 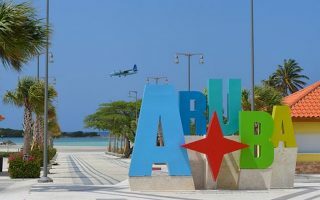 Getting around Aruba is made simple by widely available taxis and an affordable bus service that stops at all major beaches, resorts, and downtown areas. For inland routes, a rental car is helpful but not 100% necessary. Given Aruba’s small size, you’re never too far from a great running route! 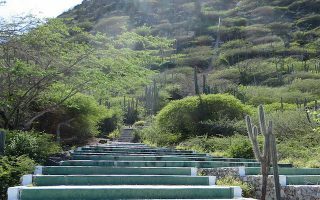 Covering the northwest coast of the island, Aruba’s Sightseeing Path stretches for about 13 km out and back from the Palm Beach area to the scenic California Lighthouse. Great water views! New 3.2 km (2 mile) section of paved multi-use trail is lined with trees for shade and spans between the Airport area and Wilhelmina Park in Oranjestad. Part of a larger project currently in progress. Paved roads, dirt roads, and trails abound in Arikok National Park, which covers over 18% of the country’s landscape. Something for every runner here. Challenging climb up the 587 step staircase of Hooiberg (Haystack) Mountain. 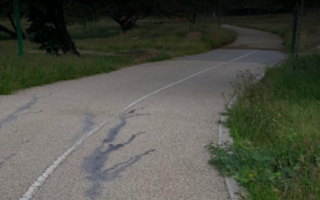 The inland running track at Parke Curazon has a paved .8 km track. Good alternative to the beach/resort scene of coastal Aruba. Our overview of the best beaches for running on Aruba. The longest beaches with the most stable sand for running include Palm Beach, Eagle Beach, Baby Beach, and Surfside Beach. 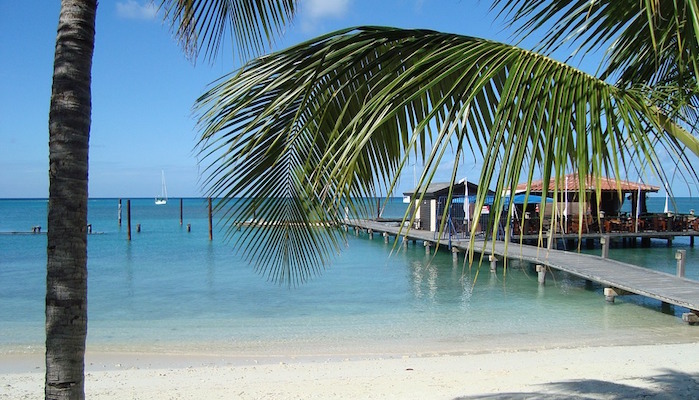 Aruba’s climate is one of its main attractions. Temperatures are uniformly warm and consistent year-round, with daytime highs in the 80s (28-30C) and warm nights. Aruba is drier than many other Caribbean islands, with November-January receiving the most precipitation. 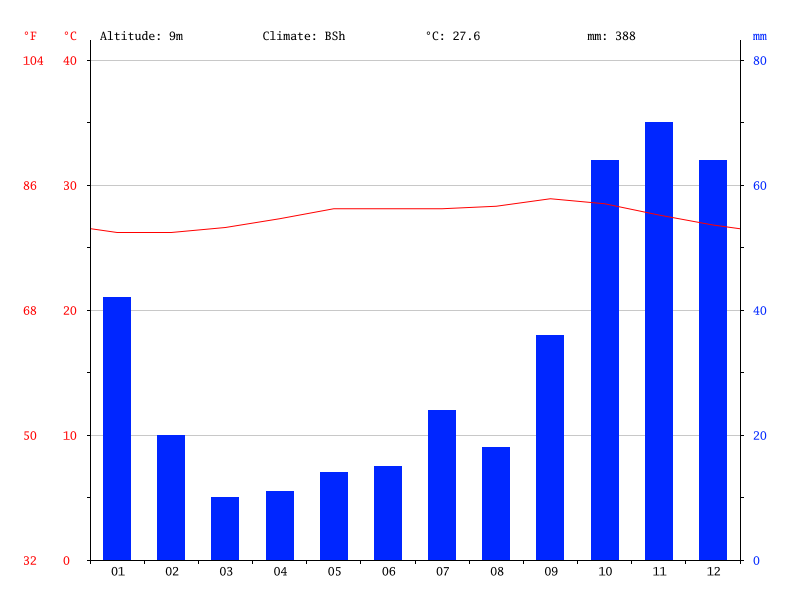 Runners should note that it can be windy on the western side of the island. Most hotels and resorts in Aruba are on the Island’s west coast, between Palm Beach and Oranjestad. See VisitAruba.com for more info on accommodations. Oranjestad is home to an Athlete’s Foot location, as well as other surf and sports shops that carry running gear. For running groups, check out the Aruba Malmok Runners. Aruba hosts the Aruba International Marathon, Half Marathon, and several other races throughout the year. See upcoming races in Aruba here.